TORONTO - If you are looking for something different to do this weekend, you can't miss the grand opening of Toronto Designers Market in Parkdale. Featuring several emerging designers, this must-attend event is not only a great opportunity to get familiar with the local artists and entrepreneurs, but also to refresh your wardrobe for the summer season. Some of the brands that captured our attention included bstrd, Li & Mi, Monoxide Style, and Paprika. 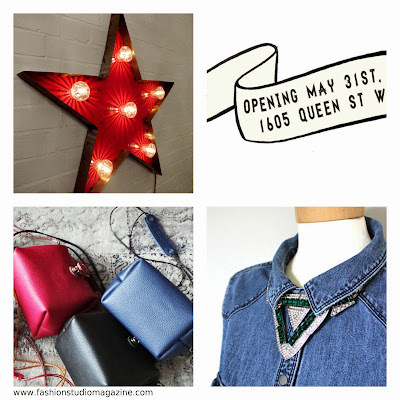 See you on Sunday at 1605 Queen Street West! Toronto Designers Market is dedicated to creating a clean, affordable space for young designers and entrepreneurs to sell their products to the public without having to spend thousands of dollars on their own storefront, or lose a 50% consignment. We do not take consignment at all, which assures not only are the vendors in control of their own pricing, but our customers are getting products at the best possible price, buying direct from the source. Our 3000 sq ft storefront located on Queen St W features over 30 different designers ranging from furniture and household items to clothing and jewellery. We want to breathe new life into the west end of Toronto and what better way to do it than using the talented, creative minds living here.